Matthew Murphy/"An America in Paris"
A photo of the original Broadway cast in "An American in Paris." The musical "An American in Paris" is inspired by the 1951 Academy Award-winning film of the same name. The romantic story focuses on an American soldier and a mysterious French girl in "The City of Light" at the end of World War II. Including winning four Tony Awards, the musical was the most honored new musical of 2015. It will open Broadway Philadelphia's 2016-2017 season, beginning Nov. 22. •Nov. 22 at 7:30 p.m.
•Nov. 23 at 1 p.m., 7:30 p.m.
•Nov. 25 at 8 p.m.
•Nov. 26 2 p.m., 8 p.m. The show is directed and choreographed by 2015 Tony Award-winner Christopher Wheeldon, featuring the music and lyrics of George Gershwin and Ira Gershwin. Tickets begin at $20 per person. 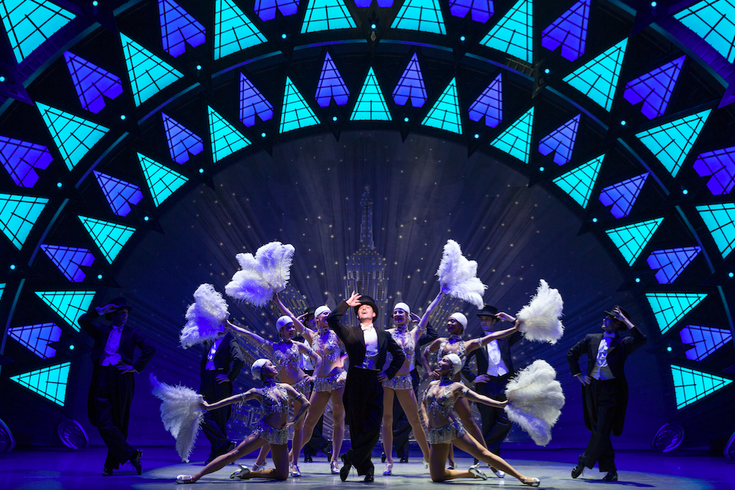 Broadway Philadelphia: "An American in Paris"